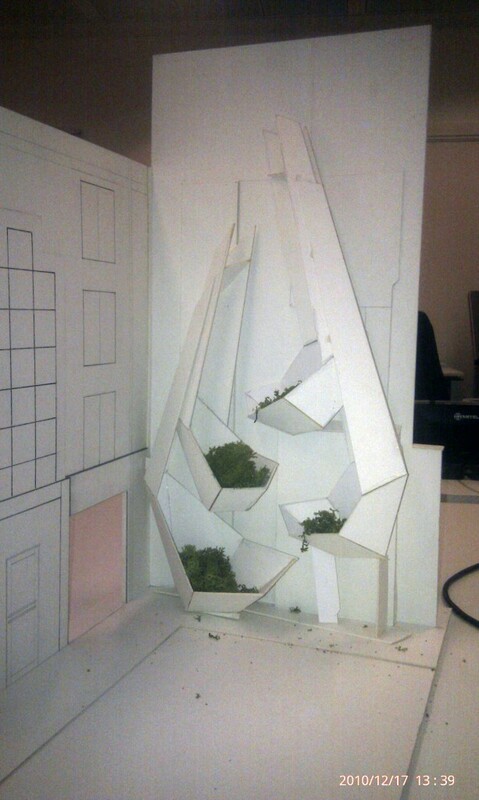 This is the final drawing of our Living Sculpture/greenwall prior to our going out to public consultation. Just waiting on one or two further bits of technical advice, then it’ll be over to you if you live near Wharfdale Road! We’re keeping everything crossed now. The design comprises a number of ‘bowls’ that will act as planters with long ‘handles’ that’ll form a trellis for climbing plants using interesting cut outs. 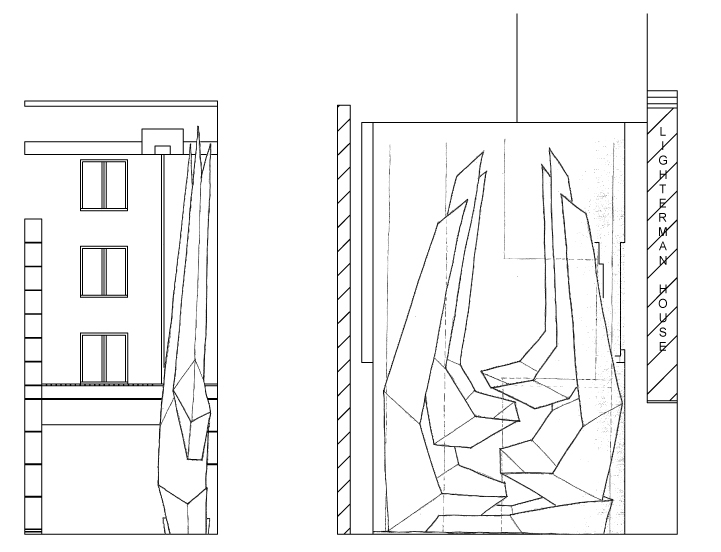 Here you can see how the sculpture will relate to Lighterman House and Battlebridge Court. Well done Sophie and team for your perserverence – it looks great !